Osaka eisa troupe, Karakoro, performs in Winnipeg at the Winnipeg Art Gallery in honour of Art Miki and Japanese Canadian redress. Photo courtesy Akira Kobasigawa. 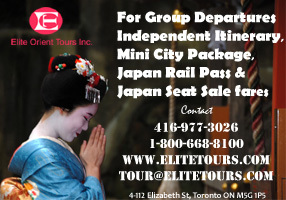 WINNIPEG – The Karakoro troupe, led by director Yoko Matsui from Osaka, has been performing eisa, a form of traditional folk dance originating from Okinawa, at the Music Niagara of Niagara-on-the-Lake since 2011. 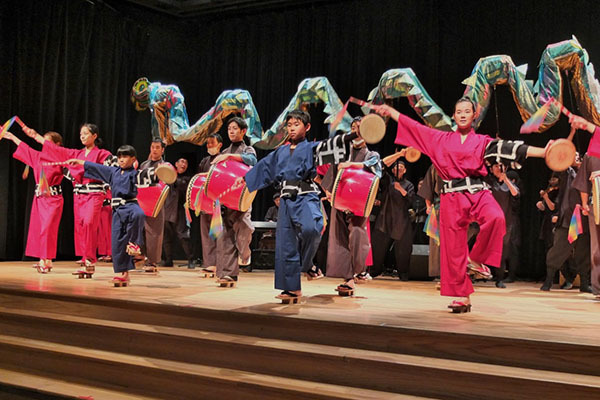 This year, in addition to Music Niagara, 70 members of Karakoro brought “the rhythms of Okinawa” to the Winnipeg Art Gallery on Aug. 14. The theme of the concert was to honour Art Miki for his efforts towards post war compensation and the government’s apology. Karakoro’s full name is Karada-to-kokoro-no-deai-no-kai, meaning a group of body-mind integration. There are 97 members of Karakoro , with various professional backgrounds, between the ages of five and 70, led by Matsui. Matsui’s relation to Canada began after a chance encounter with Atis Bankas, artistic director of Music Niagara, while she was at the Shaw Festival in 2010. Meanwhile, Art Miki happened to be in Niagara-on-the-Lake in the summer of 2014 for a family reunion during Karakoro’s performance at the Music Niagara festival. He attended the eisa show and was so impressed by Karakoro’s enthusiastic performance that he talked to Matsui about visiting Winnipeg. Matsui did not know anything about Miki’s work at that time. Yet, she was beginning to feel that her initial belief of the Canadian history as a place of tolerance and minimal discrimination, seemed naive. She said she overheard comments like: Japanese-Canadians who experienced discrimination during the war regained their pride watching Karakoro’s grand eisa performance. 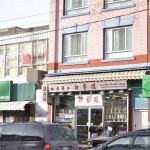 This left Matsui wanting to delve into the history of Japanese-Canadians. 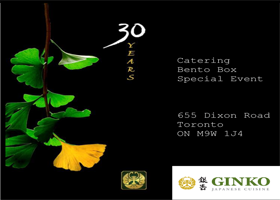 In 2015, she had a chance to visit the Nikkei Heritage Centre of the Toronto JCCC, where she discovered that Art Miki played a major role in the redress settlement. 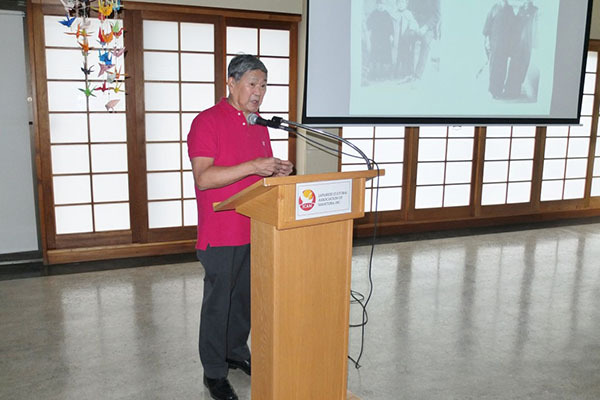 Matsui and the members of Karakoro, including school-aged children, began studying the history of Japanese Canadians using translated books like Justice in Our Time by Roy Miki and Cassandra Kobayashi for reference. 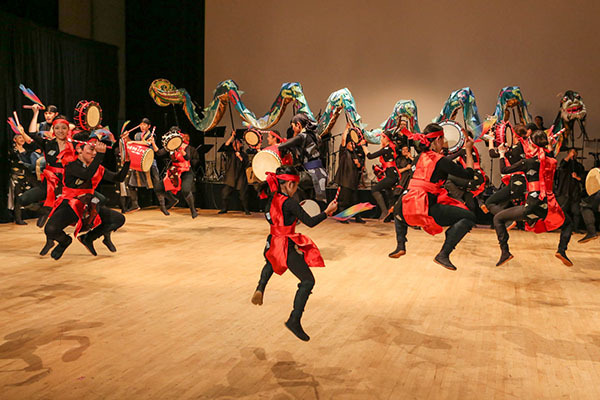 Karakoro performing at the Japanese Canadian Cultural Centre in Toronto, 2015. Photo courtesy: Akira Kobasigawa. 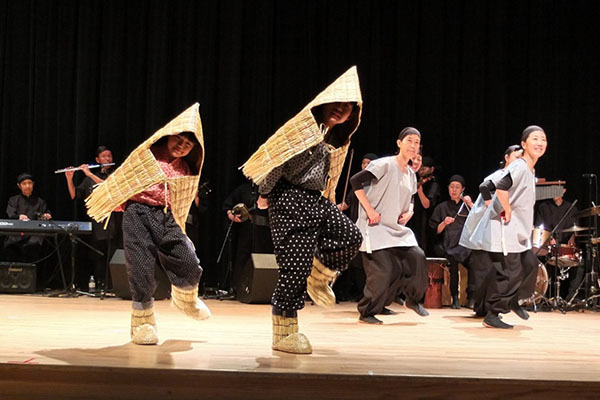 Karakoro’s 2016 Winnipeg concert consisted of two parts, the first part being traditional, as well as creative Eisa dances. The music styles were both traditional folk and contemporary songs, all familiar Okinawa melodies. Karakoro performing “Snow Crossing”. Photo courtesy: Akira Kobasigawa. I was immediately reminded of a parallel case of false accusation. 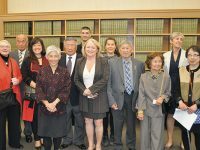 When Canada declared war against Japan in 1941, the Canadian government falsely labeled Japanese-Canadians as enemy aliens that resulted in mass deportation to internment camps. 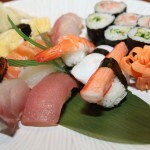 Miki addressed the additional theme of this story: coexistence. He said that the moral of this story was: “accept people who might be different.” Canada is a country of immigrants. To counter racism, Snow Crossing’s message promotes the concept of tolerance. The conclusion of Karakoro’s energetic dances was met with a well-earned standing ovation. As an encore, all members of Karakoro sang “Flowers will bloom,” the song created to support the recovery of the Tohoku from the 3.11 earthquake disaster. When the final part of the song, which included sign language, was repeated, the audience and performers sang together, creating a very moving sense of unity in the auditorium. Art Miki giving a lecture to Karakoro dancers on Japanese Canadian history at the Japanese Cultural Association of Winnipeg. Photo courtesy: Akira Kobasigawa. One other important purpose of Karakoro’s visit to Winnipeg was to attend Miki’s lecture, “Justice in our time”. What can be said regarding the imprinting message left on the Karakoro performers? While there are many, director Matsui and I agree that it is the summation of six words that remain in the hearts of performers Iori Yara, Sayoko Matsumoto, Yumi Imanishi, and many others. Six words empowering spirits: Be proud of what I am.